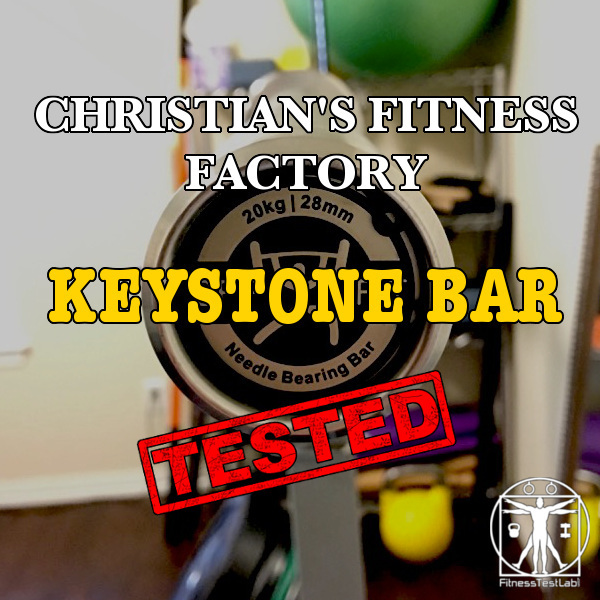 The Keystone barbell from Christian's Fitness Factory offers Olympic lifting features and performance normally found at a much higher price point. The spin is incredible, the whip is great, and the soft knurl makes this bar easy on the hands for high-rep sessions. 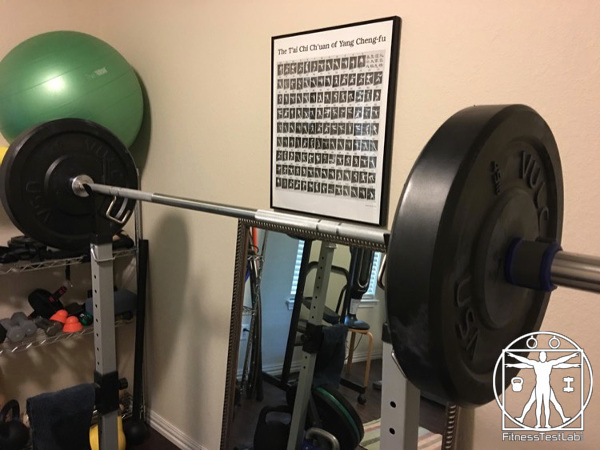 For under $300, this bar is a great deal if you do a lot of high-rep WODs or focus primarily on Olympic lifting. 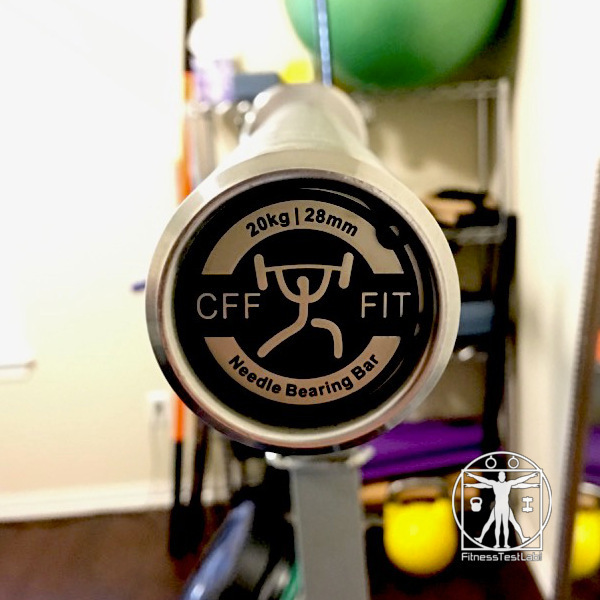 Unlike other companies in the fitness equipment market, Christian’s Fitness Factory (CFF) doesn’t offer a large selection of different barbells. They choose to offer only two, which differ in a few significant ways. The Keystone bar is a needle bearing bar, whereas the WOD bar uses bushings. The WOD bar has a 28.5 mm shaft finished with black oxide and the Keystone bar has a 28mm shaft finished with hard chrome. Although technically both bars could be used for Olympic lifting and CrossFit-style workouts, the Keystone bar is primarily intended for the former and the WOD bar for the latter. Neither bar is specifically targeted for powerlifting. The CFF Keystone bar came in a thick cardboard tube with heavy plastic inserts on both ends. I used a utility knife to cut through the middle of the tube and slid each half off the ends. The bar was wrapped in a long plastic bag, with no extra padding on the sleeves like I’ve seen with other bars. Extra padding would have been a nice touch, but completely unnecessary for a bar that’s designed to be dropped under load. The Keystone is a nice looking bar. Once I had the it unboxed I immediately put it up on my squat stands to have a good look at it. The first thing that jumped out at me about the CFF Keystone bar was the depth of knurling. The specs list it as a medium knurl, but in my opinion it’s more of a soft knurl. Some people will like this, others won’t. 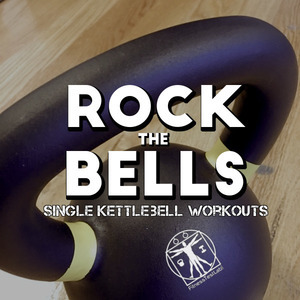 A softer knurl is great for high-rep workouts that incorporate lots of snatches and cleans since it won’t tear up your hands like a thicker knurl would. If you do CrossFit or practice a lot of Olympic lifts, this could be a great bar for you. The knurl on the Keystone bar extends all the way to the sleeves with no center knurl. The CFF Keystone bar uses four needle bearing cartridges in each sleeve housing to provide incredibly smooth and noiseless spin, even under load. 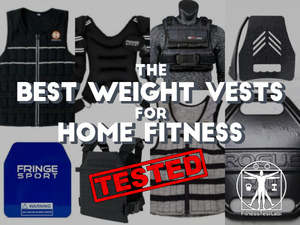 This is important because explosive Olympic lifts require the barbell shaft to spin rapidly in the sleeves to reduce the chances of wrist and arm injuries. 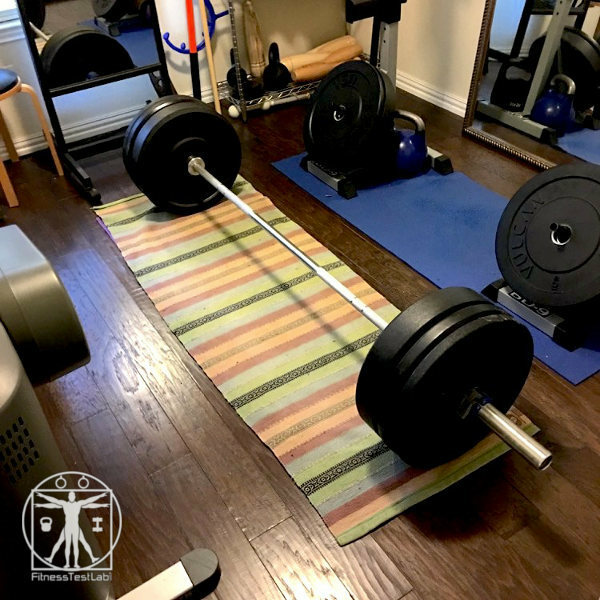 More engineering goes into the design and manufacturing of barbells specifically designed for Olympic lifting, so they tend to be more expensive. 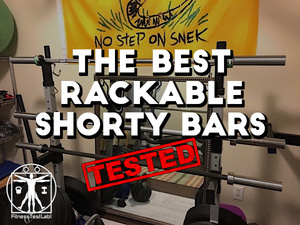 Needle bearing bars typically start at around $500 and go up from there, yet somehow Christian’s Fitness Factory has managed to bring the Keystone bar to market for under $300. This is amazing, and for this price I would expect corners to be cut on quality somewhere. If the CFF Keystone bar does cut any corners, I’m at a loss as to where. The build quality is extremely good, the whip is excellent, there’s very little side-to-side play in the sleeves, and the spin is silky smooth. I even went so far as to take one of the sleeves apart* and have a look inside, thinking that maybe I’d see something that explains how CFF managed to hit the lower price point. I was half-expecting to find cheap sets of needle bearings inside the sleeves. Thankfully, I found the opposite. 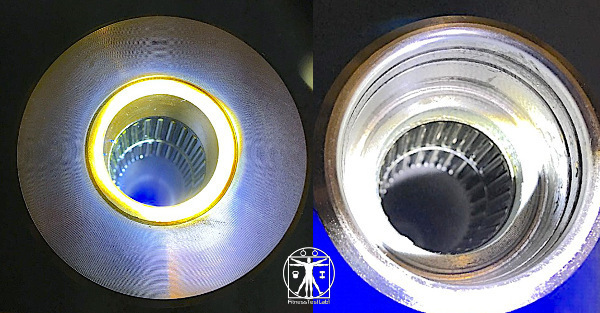 The needles are very secure in their cases, indicative of a bearing ring built to high tolerances. There are two sets of needle bearings on each side of the sleeve, in addition to the bronze bushing on the collar side of the sleeve. 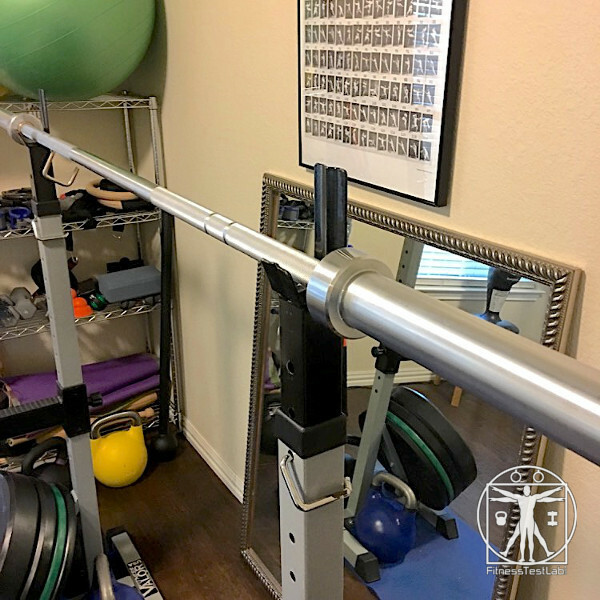 Even the finish is top notch – the CFF Keystone bar is finished with hard chrome, which is one of the more durable of the common finishes available on a barbell right now. The last point worth mentioning is the light ribbing on the sleeves. Although not strictly necessary, the ribbing is a nice touch. It helps keep change plates from moving when placed outside the collar and it helps keep weight collars in place by providing more traction. 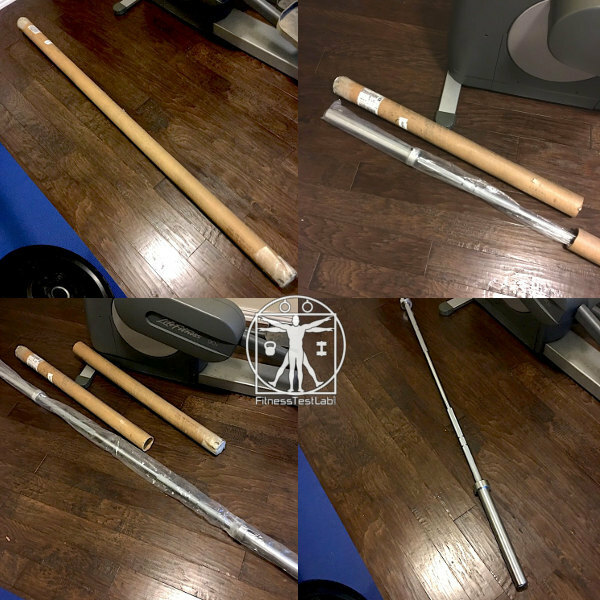 The CFF Keystone bar is marketed as having excellent whip (ability of the bar to flex under load), and I found this to be true in my own use. I started to feel some flex in the bar at 185lb, and it was very evident at 205lb and up. The spin remained buttery smooth even under heavy load, which I was pleased to see. Although the Keystone bar is the first Olympic weightlifting bar I’ve owned, I’ve seen and used other bars and the Keystone bar performs like it should cost more than it does. This does not feel like a sub-$300 bar. 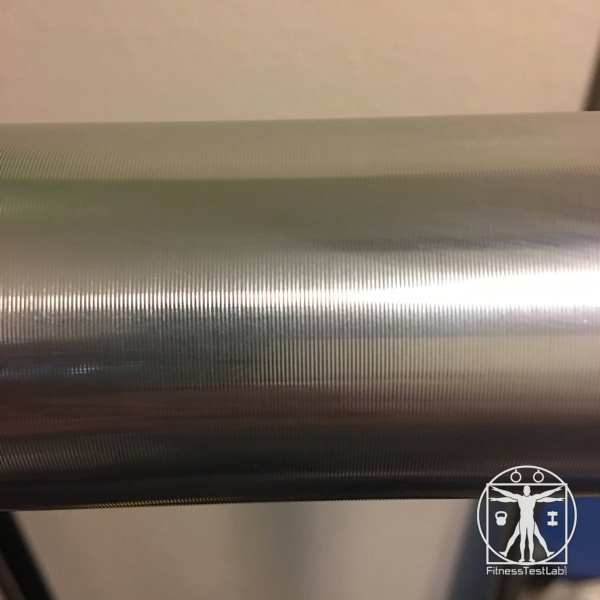 If you’ve primarily used bushings bars in the past due to their lower cost, you’ll be pleasantly surprised with the spin of the Keystone bar sleeves. I like to deadlift, and since the whip on the CFF Keystone bar is so good, I thought maybe it could double as a deadlift bar. Whip in a deadlift bar is desirable because the flex allows you to pull the slack out of the bar before the weight comes off the ground. The flex also allows you to start the pull off the floor from a slightly higher position, which helps with lifting heavier weights. The CFF Keystone bar works just fine for deadlifts, but I found the soft knurl to be too light for keeping hold of my grip when the weight got heavy. For the time being, I’ll likely stick with my Vulcan Absolute Powerlifting bar for deadlifts since the knurling on it is more aggressive. In case you’re considering the Keystone bar as your only all-around bar, I should stress that it’s designed for Olympic lifting, not powerlifting. 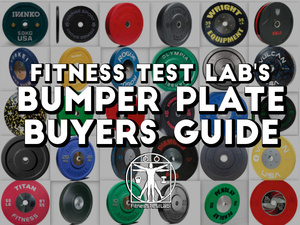 This is not a bar you want to use for heavy back squats or bench pressing. 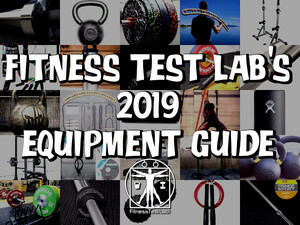 The high whip will cause the bar to oscillate when walking the weight out of the rack or when pressing, which will make the bar harder to control. 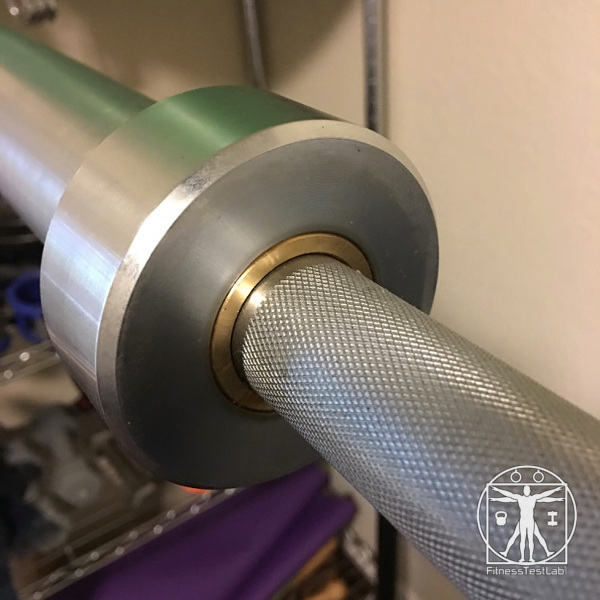 If you plan on powerlifting and have little or no interest in Olympic lifts, consider a stiff barbell with thick knurling like the Rogue Ohio Power Bar instead. Infinity deadlifts with the CFF Keystone bar! The CFF Keystone barbell is a great Olympic weightlifting bar at a great price. 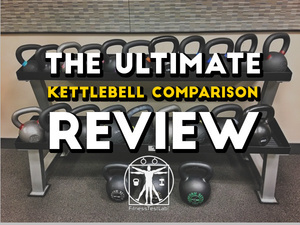 It offers features and performance normally found at a much higher price point, without feeling like corners were cut on quality. The spin is incredible, the whip is great, and the soft knurl makes this bar easy on the hands for high-rep sessions. I’m impressed with how good this bar is, especially since it costs less than $300. This is an insanely good deal, since most other needle-bearing bars start at $500 and go up from there. 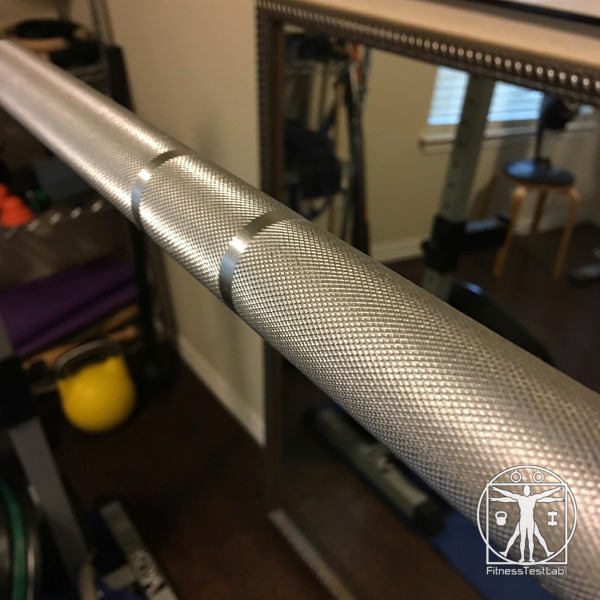 If you’re looking for a high quality barbell for use in CrossFit WODs or Olympic lifting, look no further.